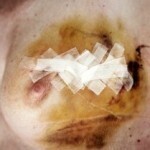 Breast cancer is cancer that affects the breast. 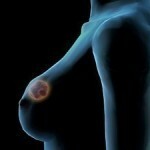 The vast majority of breast cancer occurs in women, although men can develop breast cancer too. ‘Cancer’ is the name for a group of diseases in which the body’s cells are changed in appearance and function. Such abnormal cells can grow out of control and form a mass or ‘tumor.’ When abnormal cells originate in the breast tissue, the mass is called a breast tumor. The exact cause or causes of breast cancer remain unknown. Yet scientists have identified a number of risk factors that increase a person’s chance of getting this disease. Certain risk factors, such as age, are beyond our control; whereas others, like drinking habits, can be modified. If a woman has already had breast cancer, she has a greater chance of developing a new cancer in the other breast. Such a new, or ‘second,’ cancer arises from a completely different location and should not be confused with a cancer that has recurred (come back) or metastasized (spread) from another site. 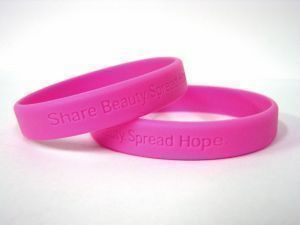 Approximately 85% of women with breast cancer do NOT report a history of breast cancer within their families. 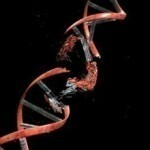 Of the remaining 15%, about one-third appears to have a genetic abnormality. The risk of breast cancer is about two times higher among women who have a first-degree relative (mother, sister, or daughter) with this disease. The risk is increased 4-5-fold if the relative’s cancer was found before menopause (the end of menstruation) and involved both breasts. The risk also is increased if breast cancer occurs in several family generations. In addition, an increased risk of breast cancer has been found in families with other inherited disorders, such as ataxia telangiectasia (a progressive disease of the motor system) and Li-Fraumeni syndrome. It should be mentioned that the Pill’s exact hazards are difficult to assess, since risk apparently disappears in women who have not used oral contraceptives for more than 10 years.